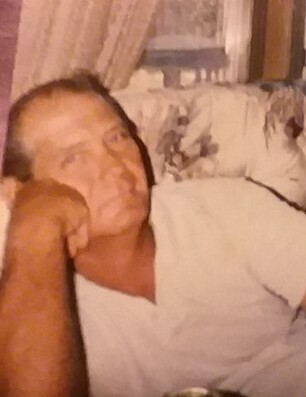 Kenneth Ulysses Parrott, age 73, of Lake City, Florida died Monday, April 8, at Suwannee Valley Care Center. He was born in Lake City, Florida and has lived there all his life. He worked as a carpenter, and was an avid outdoorsman who loved getting away to the Osceola National Forest where he would go hunting and fishing. He was an Army veteran of the Vietnam War. He is survived by his two Step Sons, Tom Heath of Lake City, Florida and Michael Heath of Germany: His three Step Daughters, Vicki Heath of Lake City, Florida, Carol Ward of Lake City, Florida, and Cathy Raulerson of Lake City, Florida: and many grandchildren and great grandchildren. He is preceded in Death by His Parents, Joseph Julian Parrot of Lake City, Florida and Ida Belle Sapp of O’Brian, Florida. A memorial service to honor the life of Mr. Parrott will be held Tuesday, April 16, at 2 P.M. at Guerry Funeral Home. A visitation will be held from 1 P.M. to 2 P.M. One hour before the service. GUERRY FUNERAL HOME, 2659 S.W. Main Blvd., Lake City, Florida is in charge of arrangements.